At night, when we are safe from solar storms, the guards open our radiation-shielded gates. We are so used to living in darkness that the moonlight comes on like a tsunami, an uncontrollable riot of waves. It's as if we are drowning in light, rather than illuminated by it. Jacek Irzykowski created this piece for the "environment of the week" challenge on ConceptArt.org. 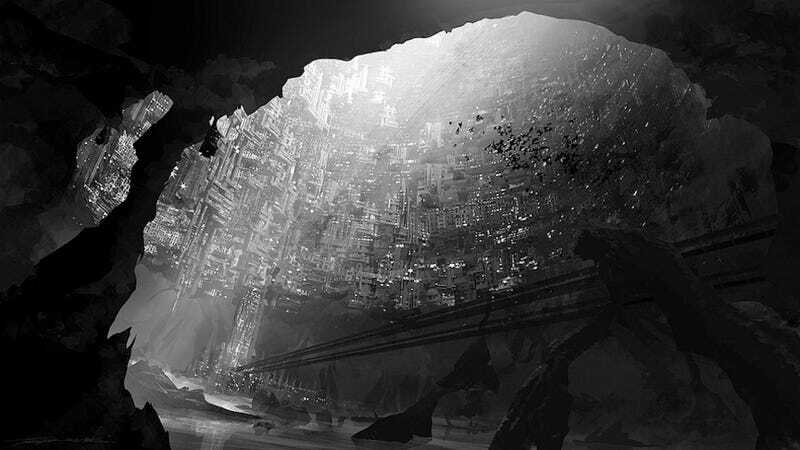 He is a digital matte painter and environment concept designer in Australia. You can see more of Irzykowski's incredible work on his website.